April 2014 will see the "Arrow", currently operating on the Dublin - Heysham route being replaced by a much larger Seatruck "P" series vessel. 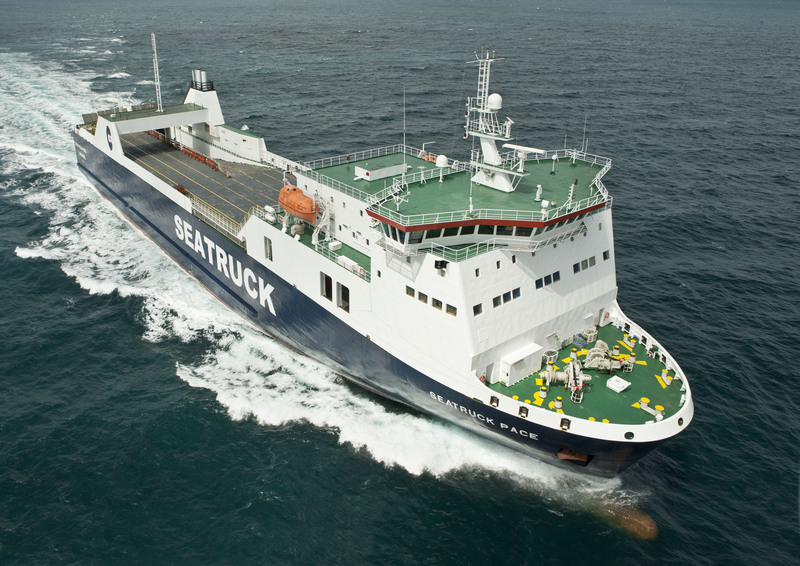 As well as bringing speed, schedule reliability and additional capacity, the change confirms Seatruck's long term commitment and strategic importance to the route. Other benefits from having the larger 110 unit vessel include, greater trailer free height and a faster turnaround time in port. The ship also benefits from a ramp interface to the lower hold instead of a lift. The Dublin - Heysham route provides an additional option for those customers currently operating on the Dublin - Liverpool and Warrenpoint - Heysham routes. Drivers will appreciate the single berth cabins and the comfortable lounge area. Three sister P series vessels will then operate the Heysham routes for Seatruck with the other vessel in the series 'Clipper Point' remaining on charter to DFDS operating on their Immingham - Cuxhaven route.